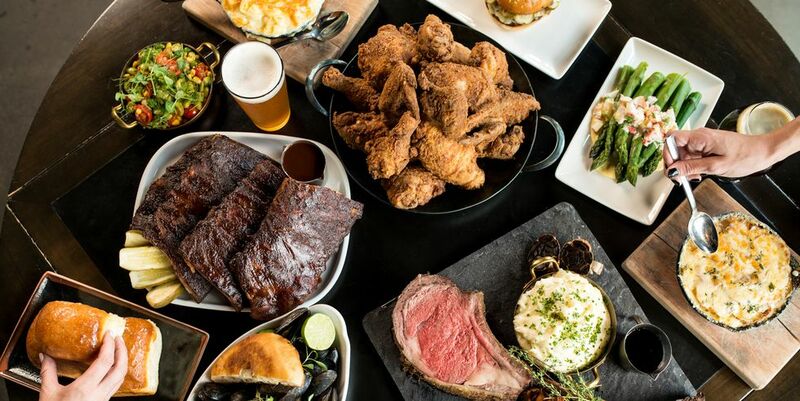 All The Best Food at Super Bowl LII - Hicks & Associates, Inc. While most of us will be watching the Super Bowl from a living room, eating homemade cheese dip or wings. If you want to know how those who attend the Super Bowl will eat, and Falcons fans all season, read here. Atlanta’s stadium has gone to great lengths to make stadium food affordable. In the entire stadium, you can find $2 hot dogs, pretzels, and popcorn, $3 pizza slices and nachos with cheese, and $5 cheeseburgers and draft beers. If you find yourself inside the Mercedes-Benz Stadium, you HAVE to try this. Tempura-battered chicken tenders, waffle fries, and honey hot sauce go inside a waffle bowl. They’re served with Kool-Aid pickles served on the side. This $5 snack comes inside a Fritos bag, duh, and combines brisket chili, shredded cheese, diced onion, and corn chips. Molly B’s is so good, it’s open for an extra two hours after games and on non-game days for lunch. Order southern favorites like buttermilk fried chicken, southern smoked brisket, baby back ribs, or six-cheese macaroni and cheese. This tequila chicken burger comes on a knot roll with jicama slaw, roasted poblano cream, and pepper jack cheese—and only costs $9. There’s no shortage of beer here. The stadium has more than 1,200 beer taps holding 47 kinds of beers, including select $5 domestic and craft beer drafts. Find everything from Miller and Coors Lite to Terrapin and Sweetwater inside the stadium. There are plenty of classic fries to be found around the stadium, but this southern poutine dish is way more fun. It’s loaded with cheese curds and veggies, and is on the menu alongside buffalo fries and bacon cheddar fries. These nachos are loaded with the burnt ends of brisket, queso, Budweiser BBQ sauce, and jalapeños. All for $10! This Shock Top bratwurst comes with beer mustard, sautéed onions, and kettle chips. Good news: There’s a stand on all three stadium levels. Sometimes, you just need a heap of mac and cheese to keep you calm during stressful times. You can get this plate with pulled pork or chicken, if you’d like.